When you read, you are learning how to write and spell. When you write, you are putting that knowledge into practice. For that reason, you should encourage your child to read and write often. You should teach your child how to use the dictionary so they can take full advantage of it as a learning tool. Through it, they can enhance their vocabulary, and they can work on their spelling, too. 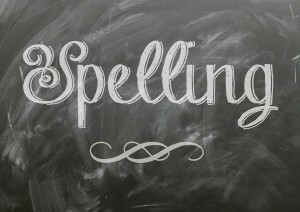 Mnemonic devices, such as silly songs and rhymes, can actually help your child assimilate and remember the spelling rules they need to know in order to become a better speller. A spelling log where your child writes down words with complicated spelling, and where they repeat said words over and over, will help them practice and retain those words' spelling. Nowadays, there are online games, fun apps, worksheets, and other materials aimed at helping your child improve their spelling skills, and they're right at their fingertips, so make use of them. The Tutoring Center, Milpitas CA can help your child if they require assistance strengthening their academic skills (such as grammar, spelling, math, and more). Call 408-263-5377 to learn more about tutoring in Milpitas CA, or for a free diagnostic assessment.